When I was eleven, I made a bucket list. It has some crazy things on it like go skydiving (nailed it) and learn how a watch works (why did that seem necessary?? ), but I specifically remember rejecting “run away with the circus” because eleven year old me thought that would never really happen. I work in the arts as a stage manager and jobs are sometimes hard to come by. I’ve been incredibly lucky in my career, but it’s often meant zigging when other people zag and one of my zigs brought me to the circus. Did I live on a train? Yes. Have I been peed on by a tiger? Yes. Do partially made up clowns still scare the crap out of me? Yes. Did I accidentally find another great job to quickly pay off my student debt? YES! The circus is its own little bubble and, as such, it has it’s own terms for lots of things. My job there was called Associate Production Manager, despite having nothing to do with what a theatrical Production Manager would do (that person is actually the Operations Manager, whereas the Stage Manager is really a Technical Director in the outside world and so on and so forth…). I was responsible for keeping the performers safe and on time for their entrances backstage. I was also responsible for organizing and running the entire preshow, which was an hour long event that happened right before the top of every show. It allowed the audience to get “up close” with the performers and try stuff like walking across a low wire or juggling with clowns. I also switched out with our Production Manager a couple times a week, watching the shows and taking notes about the performance while also coordinating the volunteers for the animal walks. However, the bane of my existence was PR. The circus is a big deal and cities would get pretty excited when we showed up. There were hours of TV and radio interviews, scout clinics, elephant brunches and even large scale VIP events in big cities. Needless to say, the hours were long. 3:00 AM – Yes, that says AM. Get picked up at train to go to the arena for early morning PR. 3:30 AM – Unlock all the costume storage, turn on the music in the arena and make sure the floor is set with all the scenic pieces for all of the TV shots that are about to occur. 4:00 AM – TV crews start to arrive. 9:00 AM – Wrap up filming. Get all the performers involved sent back to the train. 12:00 PM – Go to a local construction site to team up with Habitat for Humanity and help build a house. 2:00 PM – Return to arena for everyone to get out of their costumes. 2:15 PM – Head back to train. 2:30 PM – Collapse into unconsciousness. 5:30 PM – Drive back to the arena. 6:00 PM – Start prepping for preshow. 6:30 PM – Preshow starts. 7:30 PM – Show starts. 10:00 PM – Pack up and head back to the train. If you want a more detailed look at how my days actually broke down, you can check out the post I wrote about on this stuff here: a day in the life of a circus stage manager. Also, for any of you theater folks out there, we had 3 shows on Saturdays and lots of Sundays. THREE SHOWS!!! So, you’d definitely think that with hours like that, I’d be rolling in the money, right? You would be wrong. 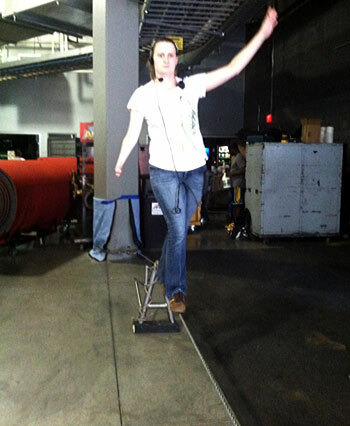 I actually made slightly more working for the circus than in my previous job, about $38,000 a year. However, at my previous job I made about $36,000 a year and had about four months a year off. With the circus, I had two weeks of vacation, of which, I took a single weekend. I did finally get a 401(k), with a company match. We were also provided with health insurance at about $100 a month, but trying to sort out how to find a doctor on the road was pretty much the most frustrating thing I’ve ever done. At the end of the day, the hours and the pay made the job very not worth it. On the flip side, there were some incredible perks to running away with the circus so it’s certainly not something I’m going to regret. Room and board were covered on the train. I even lucked out and had a decent room. The size of most people’s accommodation on the train is seriously a glorified shoebox. Honestly, it’s not even glorified. 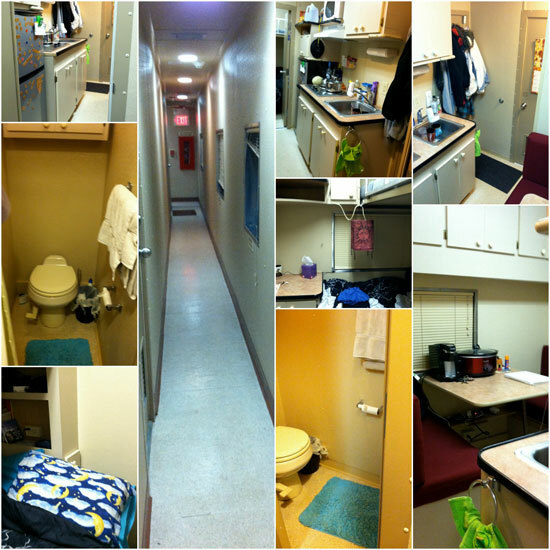 I at least had my own bathroom and kitchen. That old Aladdin quote “phenomenal cosmic powers, teeny tiny living space” totally applies here. I only really had to buy groceries. I also paid $50 a month for internet through Clear, but that coverage was questionable at best. It only seemed to work about 50% of the time, because the train often parked in some really off the beaten track places. My absolute favorite perk of working for the circus was train runs. When the train is moving, you can’t even be reached by the outside world. The internet usually doesn’t work and you often lose your phone signal too. This is a really rare thing these days and I cherished it. The train also traversed some absolutely gorgeous spots in America that you wouldn’t get to see by car. It was really cool. The circus also fueled my need for travel. I saw more of America in my year with the circus than ever before. The work weeks were rough, but for several months, I opted to keep my car out on tour with me. That meant that I had to drive from city to city but I got to stop and see lots of cool things along the way. I would also be lying if I didn’t say that I miss all the people I worked with. The circus really does have this unique family-like atmosphere that seems to happen when people live and work together. Circus folk are some of the hardest working people I’ve ever met. Even though I only lasted one year, plenty of them are lifers, which is still just incredible to me. This is also the only environment were I could think “maybe I’ll learn how to walk on a low wire” and there’s actually someone willing to teach me. The performers seemed to find my total lack of coordination endlessly funny, but I definitely picked up some unique skills thanks to my awesome co-workers before leaving – including a beginner level of wire walking, basic trombone thanks to the band leader, and improved roller skating techniques from one of the unicyclists. Also, where else can you find a No-Talent Talent Show? Yeah. That’s a real thing. The haunted clown car is too. So, despite what I said about the low pay and long hours, I definitely think about going back pretty often. I’m not sure I ever will, but I guess once the circus gets into you, it never really lets you go. Mel blogs at brokeGIRLrich where she explores topics like how to not panic over adulthood, working in the arts, and retirement strategies that don’t involve living in a cardboard box under an overpass. She also used to live on a cruise ship. Fascinating story. You must be really adventurous to live that lifestyle, even if only for a year. Getting peed on by a tiger must be a rite of passage. Thanks for sharing! Well my coworkers definitely thought it was pretty funny, that’s for sure. I would def. try it myself if I didn’t have kids :) Or, a wife for that matter, haha… she’d be more upset with me than that tiger! Sounds like a really cool experience to have, but I doubt I could do it long-term! 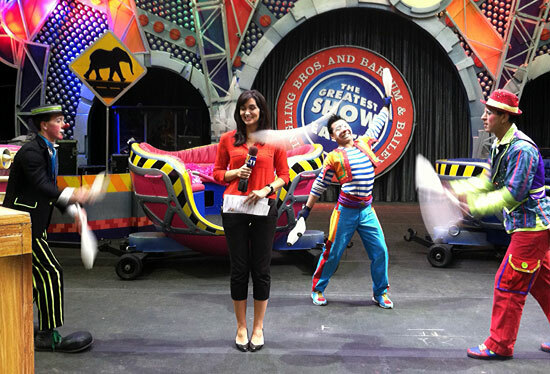 It’s hard to believe there are so many lifers in the circus business- guess there are some people out there who were born for that kind of thing. Thanks for sharing, fascinating story! It’s true. It’s also one of the few family friendly entertainment jobs – there are teachers and a nursery for the performers and crew’s children. I love jobs that include some travel, especially getting to see parts of the country you might not ever visit on a vacation. What I think is the coolest aspect of your job, besides meeting awesome and interesting people, would be that it allows the opportunity to bank virtually all of your cash. Certainly would be a hard schedule to keep on for the long term. Yeah, I definitely appreciated the opportunity to knock out a lot of debt. It was fantastic for that. There are so many cool jobs featured in this series that I would never learn about without it! I’m not sure I could work like this, but I can certainly see how you would miss the people you were with. 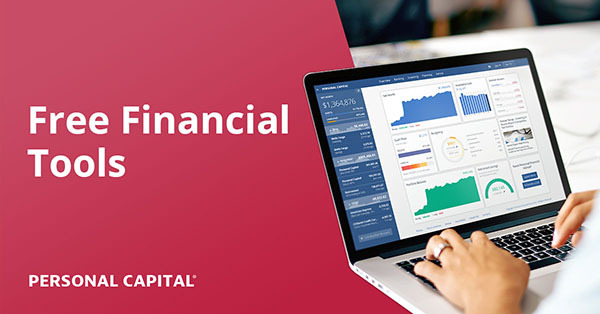 As for the financials, it’s cool that the job covered most things and you could save so much from every paycheck – and that you took the initiative to make a huge dent in your student loans. They do have their moments. When I was interviewing my boss asked me how well I can handle “difficult personalities.” I was like “well, I am a stage manager…” Turns out it was a smart question for her to ask. I think some circus performers take the cake as far as dramatics are concerned. That’s the idea! I’m glad whatever show you saw kept the crazy dream feel alive. Haha yeah, me too! Def. a surreal experience – in a good way! This series has had the most fascinating stories! Love it! I didn’t even know that circuses still travel by train. I think the personal finance blogosphere has some of the most interesting background stories of any niche. I think the company I worked for is the last one to still travel by train with two of their units. Very cool! I’ve always have been curious as to what it would be like to work in a job like this, because I thought it would be a really unique experience. How awesome that so much of your financial expenses were cared for so you could focus on killing that student loan debt! Thanks for sharing! I always love hearing your stories Mel, it makes my life as an investment banker seem so boring, though. How many people can say that they have been peed on by a tiger? I honestly don’t know if I could live on a train, but the fact that all you had to do was pay for groceries is definitely very appealing. The whole time I read this article all I could think about was yelling CARNY! I’m sure you met the most eccentric and interesting people, let alone all the travel, sounds like an adventure. If you really want to piss off circus people, you can call them carnies. Otherwise, I would avoid that term. Neat post…and I bet you have all sorts of funny stories to tell about your time with the circus. I’d imagine you’d get to meet some real characters. That’s awesome! I’d love to do this in my younger days for a year. :) Doesn’t sound like a long term career, but you had a lot of fun with it. That is even better than the cruise ship. :-) I am not adventurous or travel-loving enough for either gig, but wow! Life experience you’d never get anywhere else, right?! So, what do you do now? Is it more run-of-the-mill? My job is so boring now. I work in an off-broadway theater. But the stability is nice and I actually get to see my family once in a while. So the trade off is worth it… for now. Wow – what an interesting line of work! And congrats on paying off your student loans!! Wow, that’s such a cool story! It’s always so interesting to learn what goes on “behind the scenes” at things we’re all familiar with, especially in the arts and entertainment world. It is CRAZY the hours you had to work, though! (But yes, congratulations on paying off your student loan so quickly!) I’m assuming you were paid salary and not hourly? Oh my gosh. I wish I were paid hourly. I’d possibly still be there. It was definitely a salaried position. Wholly crap – 3 show days?!?! YUCK! I’m a (former) theatre person who was suckered into Stage Managing at the theatre I worked at, even though I was the Education Coordinator. It was an interested learning experience, but to be honest, I HATED it. (Mind you, they didn’t pay me extra for it; they just added it to my education duties and expected me to work until 10pm or later every day.) From the sounds of it, your experience was a lot more interested and exciting! Aw, I love stage managing. I miss it, actually. I’ve switched into more production management recently and it’s not nearly as fun. Sorry your experience with it sucked… it’s not a lot of people’s cup of tea. Wow, this is fascinating! Such a great insight in to what really goes on behind the scenes and answering the random questions I have! I have to say that it does look like great fun, and I’m thankful that I’ve never had a tiger pee on me. I never saw that movie. The book was pretty good though. I wish my train car had been that lush. I actually really enjoyed that movie :) But shhh, don’t tell my wife! Kudos to you Mel, you’re such a tough lady! But the best thing in living in a circus train is that you explore a lot of amazing spots in America and it’s truly a priceless moment! Another amazing story! I’m sure you’re still doing a lot of fun stuff and you are prolly the life of the party anywhere you go with stories like this. 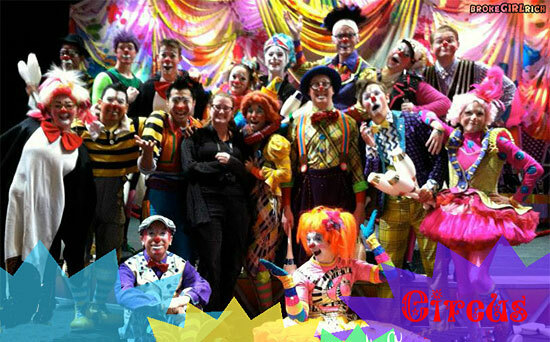 Thanks for the insight into circus life! Don’t even tempt me with more stories like this. If I would have found a circus train as a kid, I would certainly still be on it. I met some guys who were riding trains around the country about a month ago. I often thought that would be cool too. They looked like they needed a long hot shower though, so I didn’t get too close to them, in case something jumped off. I work for the railroad and move circus trains. RBBB circus is no longer but the Streights Brothers is around and their train and equipment is so old its scary. Do the owners get rich while the entertainers suffer? Next post: Introducing J. Nickel!